beautiful madeleines, I should make them soon :) Your UPS handler was so lucky! I have never tried this, because I am a bit clumsy when it comes to baking. 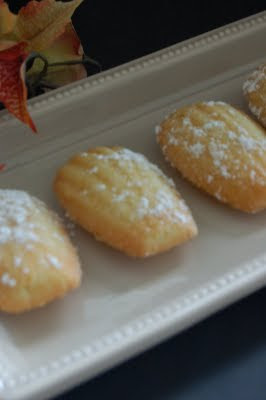 Madeleines are probably my favorite cookie project - so elegant and really so simple to make with the right pan. And, it sounds like we have similar issues with our baking pan closets! Beautiful! Thanks for the tip about the butter. Oh! 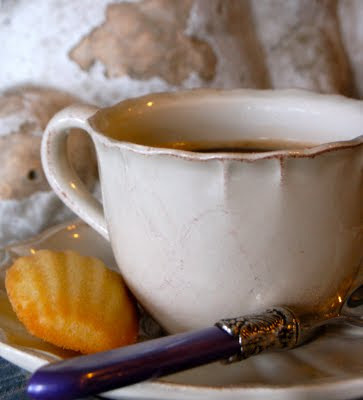 These madeleines are so cute and delicate...yummie! I like the shape - if I recall my mad pan is a bit different in shape - and the photos are wonderful. I love my madeleine pan. Unfortunately my madeleines are not as pretty as yours. I've even made cornbread in the pan and everyone loved them.